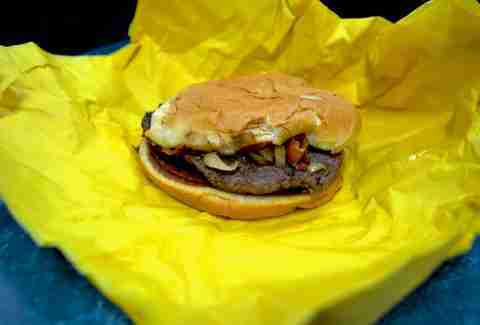 Whataburger. It's a Texas staple. And it's about SO much more than just burgers. The taquitos?! 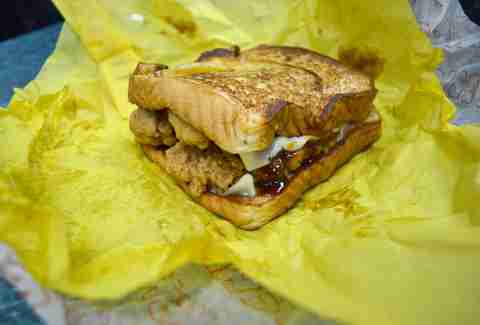 The Honey Butter Chicken Biscuits?! There's so much deliciousness at your disposal there that it's pretty much impossible to pick a favorite. OR IS IT?! 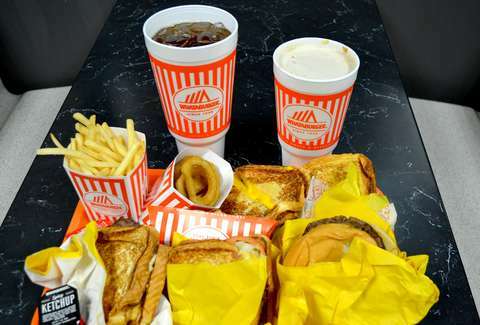 After a period of exhaustive, calorie-heavy research, we have determined the following ranking of all the Whataburger menu items. But really, they're all winners. Really? You’re at Whataburger. Just give in. The exterior is a little too dense and crispy, and the piping hot gelatinous inside might burn your mouth if you aren’t careful. The burst of cinnamon flavor gives it the slight edge, but still, be careful. Chewy, fruity and surprisingly addictive. Grown people can eat fruit chews, too. A perfectly fine chicken salad with a nice tartness from the apples and cranberries, but still, come on. Hard to mess these up, really. And you could use more fiber, if you can brave being the guy who asks for apple slices. Important part of the equation, but also not really the point. 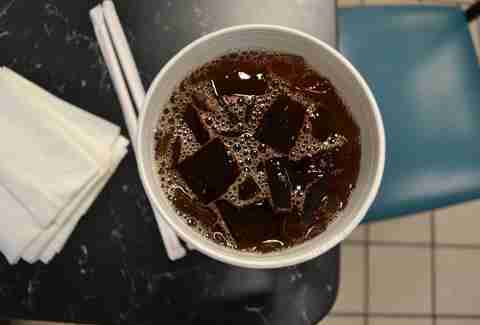 Ranked as follows: Soft drink > coffee > tea > OJ > milk. Pleasantly crispy, though prone to having the onion slip out of the breading -- and then you’re left looking around to see if anyone judges you as you shovel in an onion-less shell of fried batter, dipped in ranch. Don’t let them judge. Go for it. The gateway burger for children, inevitably down a path towards experimentation with doubles and triples. Nothing wrong with it, but you’ll be happier further down the list when you’re putting stuff in it. Better than cookies at a burger place have any right to be. Starts out pleasantly tangy, but then there’s a potent kick to the tastebuds courtesy of some jalapeño ranch. Egg. Cheese. Sausage. Bun. Like the name says. Burger buns are criminally underused in breakfast fare. Remember that time you put way too much A.1. on your steak... but didn’t really mind that much? It’s like that, in burger form. Lotta onions going on here, so if that’s not your thing maybe look elsewhere. If it is your thing? Get ready to party. Gooey. Delicious. Order one or tray of six and prepare to have your office mates simultaneously cheer and curse you. This is all about the Creamy Pepper Sauce. Make them give you extra napkins and an Alka-Seltzer. The lazy man’s Whatachick’n strips. It’s only healthy if you have one. But you’ll want to have two. It’s that darn Monterey Jack cheese. Does it every time. When you want something sorta, kinda healthy(ish) when Chick-Fil-A is closed on Sunday. When Chick-Fil-A is closed on Sunday, but you’re feeling less healthy. Some folks like buns, some like toasted bread, and some like tortillas. This is a grilled sandwich for the tortilla camp, with poblano, red peppers, and onions bundled up in a warm flour tortilla. Delivers surprisingly well on the fajita front. Somehow these pair well with everything on the menu. Even apple slices. This is like a drunken sandwich you accidentally make and it actually turns out really good. Brings just enough heat, if that’s your thing. Be sure to keep a beverage handy to extinguish the fire. Pancakes. Bacon. Maple syrup. Happiness. Ever watch the movie Gone in 60 Seconds? Yeah. The breakfast version of French-fries. Crispy exterior, potato-y interior. American innovation at its finest. Order the strips with ranch. Dip your strips in said ranch. 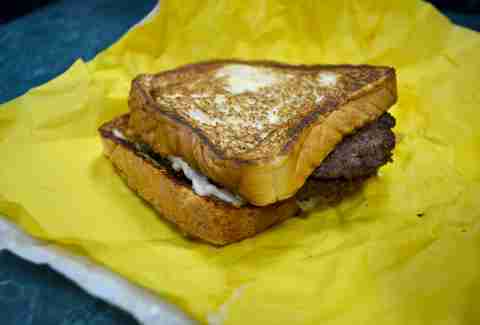 Dip your Texas toast in said ranch as well. Thank us. Like a liquid Whopper. The candy. Not the burger. That would be gross. Like Grandma made you breakfast, but without the questions about your life choices, and also much faster. The spice helps wake you up. The competition is getting brutal. Delivers more on the flavor front than the Jalapeño burger. A serious burger achievement. Definitely doesn’t pull any punches on the spice front though, so again, beverages. Generous with both the avocado and the bacon, and the Texas toast does a masterful job holding the operation together until you have destroyed it. Is there crack in that honey butter sauce? This is a semi-serious question. Uh. Yes please. Dip the toast in the gravy. 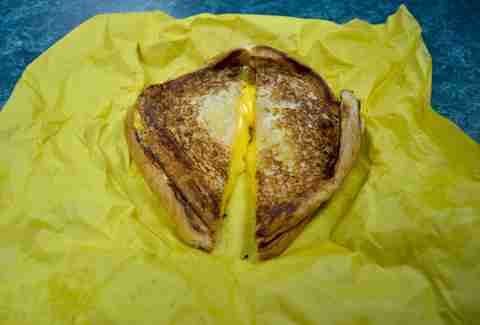 A Texas tradition, especially at 3am. Pair it with hash brown sticks and a good night's rest and you’re already a step ahead of your hangover. Bacon, sausage, or potato... there’s no wrong call here. #1: You will eat them directly from the bag. #2: One will end up on your floorboard. #3: You will end up wanting more. Sure, could have gotten cute here, but there’s no unseating the king and the basis upon which the empire was built. Play it safe with a single, go big with a triple... no matter what, that toasty bun holding all the fixin's in is like a comforting hug from an old friend -- if your friend was delicious and available 24 hours a day. But please, don’t eat your friends. 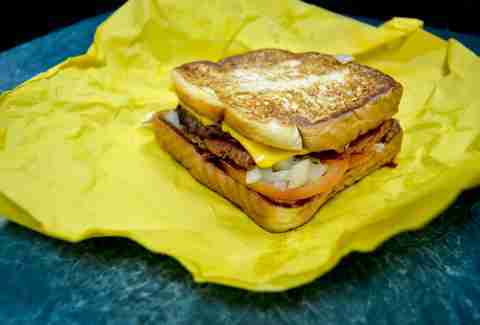 Just eat a Whataburger.